NJ(L.A.)™ NJ(L.A.)™ is a global design consultancy based in Venice, California, founded in 2013 by German designer Nicole Jacek. We are a research based practice that creates communication platforms for cultural and commercial clients who appreciate the power of design in a contemporary and culturally reflective context. NJ(L.A.)™ We help to identify and establish core values through research, innovative and strategic thinking/doing. The work we create ranges from interactive to physical visual experiences, and we believe that good design can change and evolve culture. That’s what we live for. 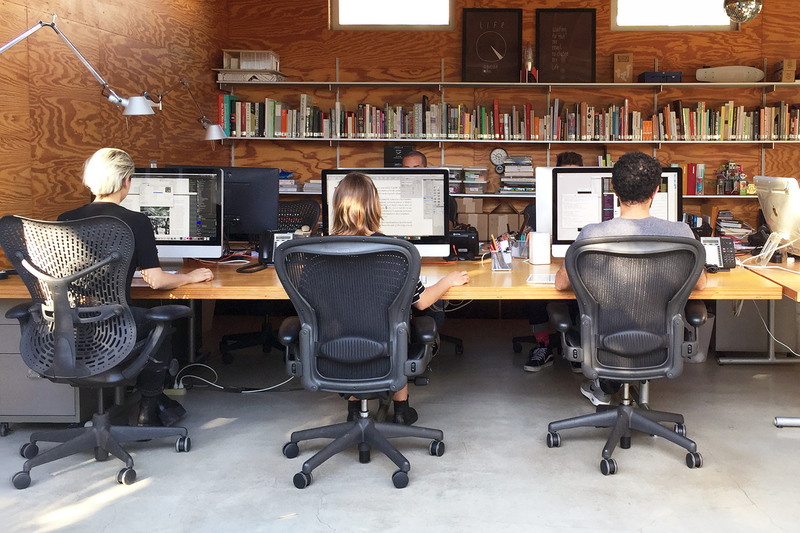 Studio Model NJ(L.A.)™ echoes a post modernist take on the traditional transdisciplinary design studio by having a small core team plus frequently changing additional international talent. These talented individuals include researchers, artists, developers, producers, graphic designers, filmmakers, writers, sound designers, animators, curators and illustrators. Nicole Jacek Founder & Creative Director NJ is Founder and Creative Director at NJ(L.A.)™. Before starting NJ(L.A.)™, she was Designer and Art Director at The Designers Republic in Sheffield, UK, and Creative Director at karlssonwilker in New York. NJ is an award winning designer with honors from the Type Directors Club, ADC, Print Magazine, D&AD and Red Dot. She is one of Print’s New Visual Artists, as well as an ADC Young Guns winner. Nicole Jacek Founder & Creative Director Her work has appeared in numerous magazines, newspapers and books around the world. NJ has been a member of the design faculty at Art Center College of Design, Pasadena, and visiting design critic at the School of Visual Arts, Parsons School of Design, Fashion Institute of Technology and The Cooper Union, New York. Nicole Jacek Founder & Creative Director She currently serves as the youngest Art Directors Club Board Member and has been appointed to chair and reinvision the ADC Young Guns program. NJ holds a Diplom-Designer (FH) degree from Merz Akademie, University of Design, Art and Media, Stuttgart, Germany.